Left to right: Rich Crouse presents the AED device to Little League President David McIntosh and Vice President Tristan Zimmerman. The Salem Little League complex now has an electronic life-saving device thanks to a donation from the Rogers-Atkins Funeral Home in Salem. 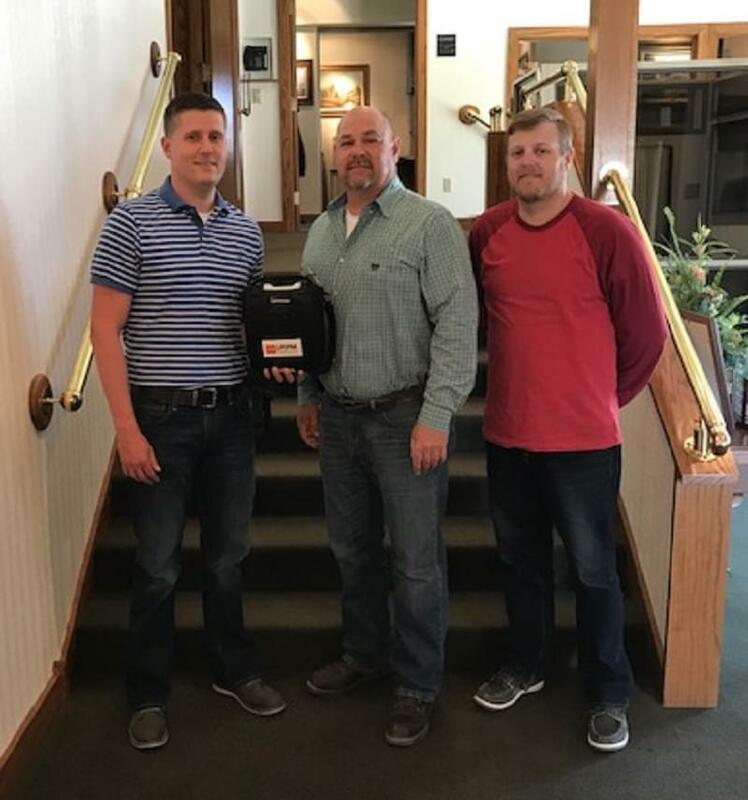 The Automated External Defibrillator, also known as an AED, was recently presented to Salem Little League President David McIntosh and Vice President Tristan Zimmerman. An AED is a portable electronic device designed to deliver a shock to victims of sudden cardiac arrest that has the potential to save the life of a player or spectator. McIntosh said he is grateful for the donation from Larry Rogers and Rich Crouse of the funeral home. The unit provides step-by-step instructions in detecting and diagnosing life-threatening cardiac arrest. A number of the Little League Members have already been trained in some capacity for the use of the devices which will be located in the garage/concession stand area near the first aid supplies.